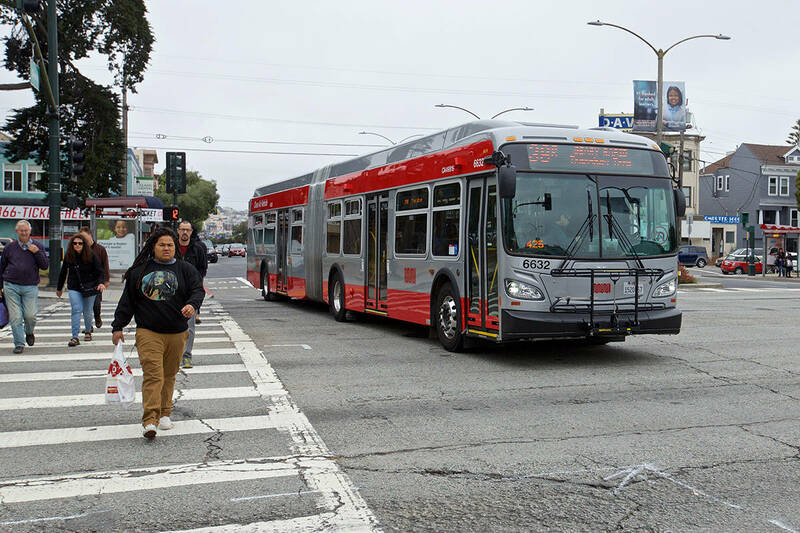 City College of San Francisco leaders say they are concerned about the potential costs and fairness of a proposed overnight parking program that would allow homeless students to sleep in their vehicles on community college campuses. Aiming to address a statewide trend in which community college students are increasingly experiencing housing insecurity, Assembly Bill 302 was introduced by Assembleymember Marc Berman earlier this year. Faced with a projected $31 million budget deficit, City College is currently working to cut back on some of its class offerings and encourage faculty to retire in order to address its financial woes. If passed, AB 302 would require community colleges to offer overnight parking but leave it up to governing boards to determine a plan for implementation, including overnight monitors and accessible bathroom facilities. The bill is modeled after previous legislation that required campuses to offer shower facilities to homeless students. The California constitution requires the state to reimburse its agencies and school districts for costs mandated by the state. According to the bill, the need for such reimbursements is determined by the Commission on State Mandate, which would review the costs and burdens of AB 302 on community colleges. While the college’s board has yet to officially discuss AB302, Board member Thea Selby said that she supports using parking lots more efficiently but expressed concerns about student equity. “If this bill offered temporary overnight housing on the parking lot for those with or without cars, I would feel better about it,” she said. Rocha agreed, adding the “real solution to homelessness is homes,” which he said the college is working on building. An off-street parking lot with over 1,000 car spaces on the Lower Balboa Reservoir, a site adjacent to the college’s main Ocean Avenue campus, would lend itself to the overnight parking program. However, the site is slated for development into housing in the coming years, with as many as 550 homes proposed for low- and moderate-income tenants and some set aside for City College students and faculty. “We have taken clear steps to identify the scope of the problem and need — now we are moving forward with a master plan to provide affordable housing for employees and for our homeless students, [including] adults with children,” said Rocha. A recent study by the Hope Center found that about 19 percent of the state’s community college students surveyed — 40,000 students at 57 California community colleges — have experienced homelessness in the past year. “The reality is that students are sleeping in their vehicles right now, and when we don’t provide a safe place for them to sleep, we force them into the shadows – into dark alleys and industrial parks – where they are most vulnerable,” said Berman in a statement. While City College did not participate in the survey, its leadership has attempted to produce more accurate numbers of how many students are in need, though an exact measure of its homeless student population is not yet available. More than 60 percent of CCSF students reported challenges in securing housing in a survey conducted last fall, and 59 percent said that these challenges affected their academic careers, the San Francisco Examiner previously reported. The survey captured about 12 percent of City College’s some 60,000 students. A November 2017 resolution prioritized ending food and housing insecurity among City College’s transitional age youth student population by offering on-campus housing and food services. Trustee Ivy Lee said that in light of those numbers, “AB302 is a step that we could take now to ensure students have a safe place to sleep,” but added that she did not believe it to be a solution. “We need higher financial aid packages based on need for students and more affordable student housing,” she said.